Learn the difference between blennies and gobies, what makes a bream a bream and how the shape of a tail can identify a fish’s family. The PADI Project AWARE Fish Identification Specialty course provides you with the fish identification basics so that each time you venture underwater, you can put names to faces. The Project AWARE philosophy and worldwide aquatic ecosystem protection. 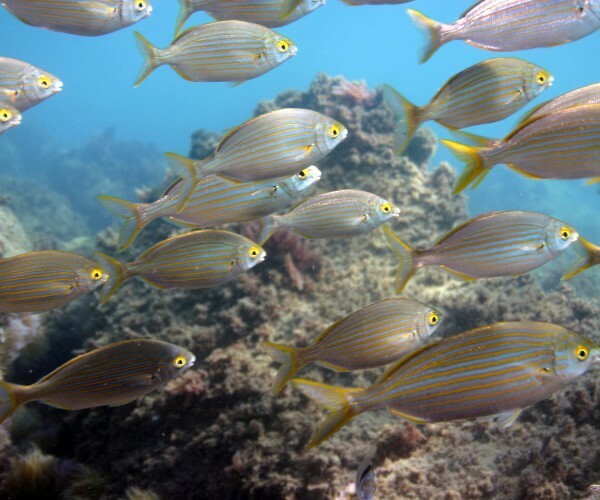 Fish family groupings and common characteristics of fish species found in the local area. Fish identification dive planning, organisation and procedures will be practiced. Must be a PADI Open Water Diver or Junior Open Water Diver (or hold qualifying certification from another organisation). Course duration: 10 hours approx. You can learn more about Project AWARE by going to www.projectaware.org.